Chicago Police confirmed 34 people — including an 11-year-old — were shot within 24 hours in Chicago over the weekend, and at least five of those victims died. The shootings took place between 10 a.m. Saturday and 10 a.m. Sunday, according to police, who initially reported 47 shooting victims, but later clarified that number. According to authorities, there were multiple mass shootings in the Gresham, Lawndale & West Humboldt Park neighborhoods. A chaotic scene broke out at Stroger Hospital Sunday morning, where victims’ families and friends were prevented from entering the emergency room as the staff dealt with the influx of trauma patients. 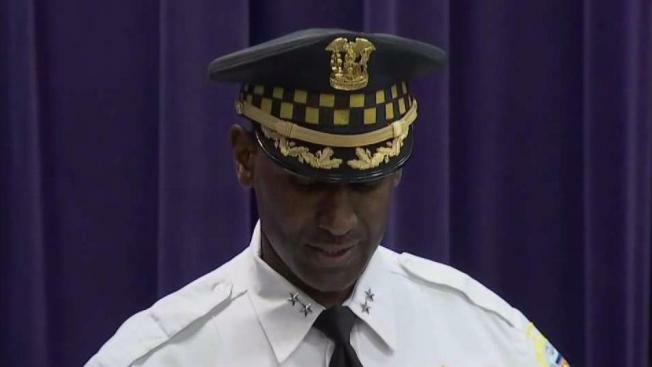 The Chicago Police Department held a press conference around 2 p.m. Sunday to discuss the incidents. "I promise this city, we will not be defeated," assured Chief of Patrol Fred Waller repeatedly. Officer Waller said everyone has to be accounted for in these types of situations, not just the police department. "We can't ever measure what we prevent...less victims, that's how we measure our success," he said. Waller also mentioned that it’s not a lack of resources when it comes to officers. Officers working at the annual Lollapalooza music festival would have been off on a regular occasion, and therefore were not accounted for.